A dental assistant works in a variety of office situations, both specialty and general practice, or in a dental clinic, hospital or in the armed forces, performing office and clinical assisting duties. Duties can include: assisting the dentist with examinations and fillings; preparing instruments; exposing radiographs; maintaining infection control; performing laboratory procedures; and performing reception and office management procedures. The Dental Assisting Program is designed to provide the student with three dental career options leading to or enhancing employment in a dental office or dental clinic. Basic science courses prior to enrolling are encouraged; typing/computer courses are recommended. Dental Assisting Program application/admissions criteria are identified in the Admissions section in this catalog. 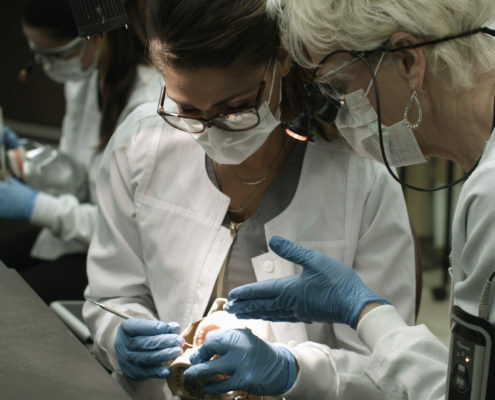 The one-year certificate option provides the student with opportunities to acquire knowledge in the area of dental terminology, dental materials, radiography, and chair side assisting. Classroom and online sessions are complemented by planned practical experiences in the college laboratory and dental offices. 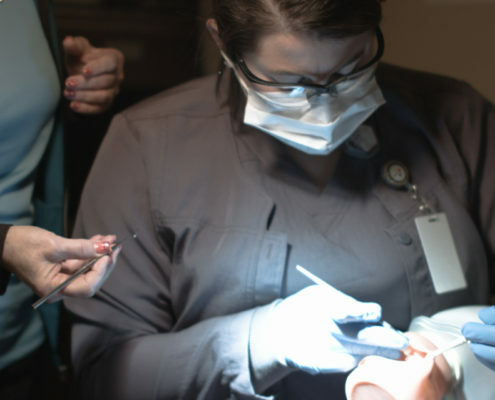 Upon successful completion of the one-year certificate program, the student will be eligible to sit for the National Certification Examination or the Ohio Dental Assistants Examination to become a certified dental assistant. To be eligible for the national examination, a person must graduate from an accredited institution and have a current registration in CPR. Those successfully completing the examination are permitted to use the initials CDA following their names. The CDA who desires to continue her/his education in dental assisting can enroll in second-year courses leading to an Associate Degree of Applied Science, Dental Assisting, with two optional pathways: transfer or EFDA. Demonstrate a conduct of ethical, legal, and professional standards in personal, clinical, and patient care. Demonstrate interpersonal communication skills with patients, dental health teams, and other related health professionals. 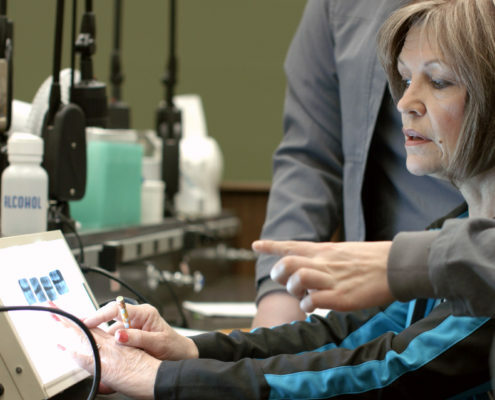 Meet the necessary requirements to successfully pass the state and national examination in all areas of clinical practice of dental assisting (infection control, radiology, chair side assisting, and related sciences). Practice proper infection control as well as personal, clinical, and patient safety in all aspects of dentistry. Demonstrate the skills to perform other clinical procedures approved by the Ohio and Pennsylvania Dental Boards. Meet requirements for placement of metallic and non-metallic restorations.